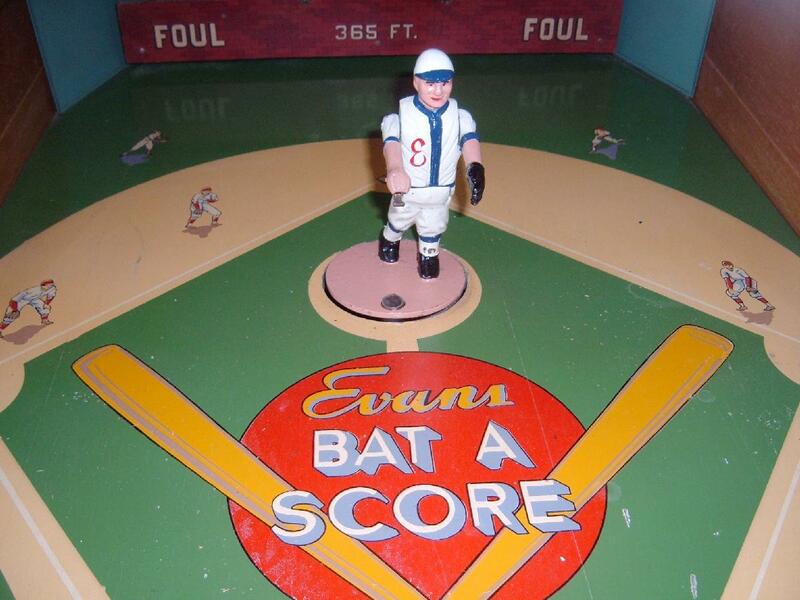 Description: Bat-A-Score, H.C. Evans, 12/48, 1 player, manikin pitcher and batter. 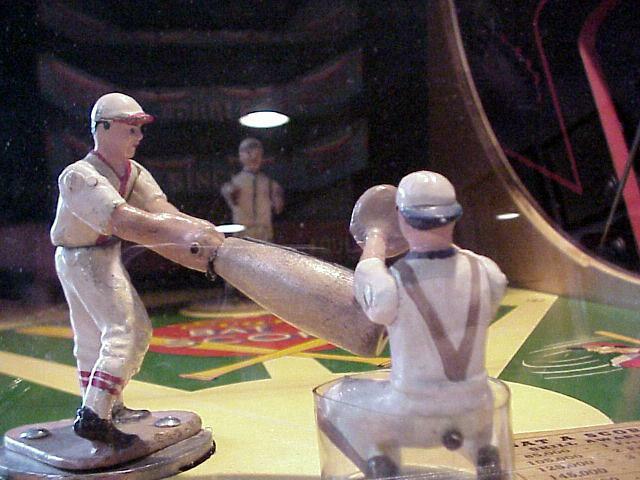 Batascore the pitcher actually throws the ball (overhand) through the air (not rolled), and the batter (using a small player controlled bat, not solenoid powered) must hit the small 1/4" ball. 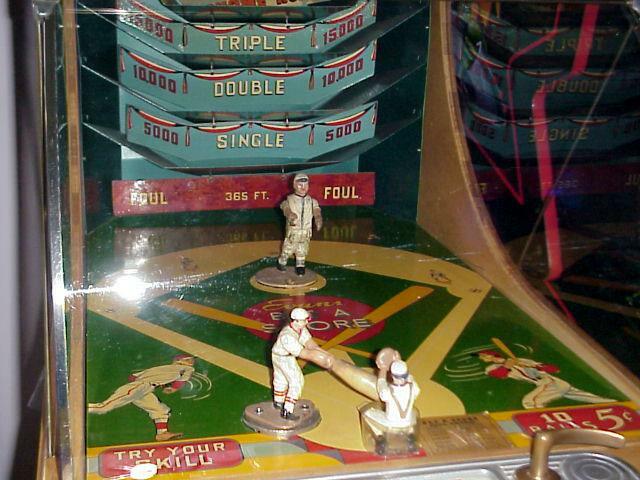 Because of this three-dimensional air space in Batascore for which the ball must travel, the game is rarely playable today (since the batter's bat only moves, it can't compensate for a low, high or outside pitches). 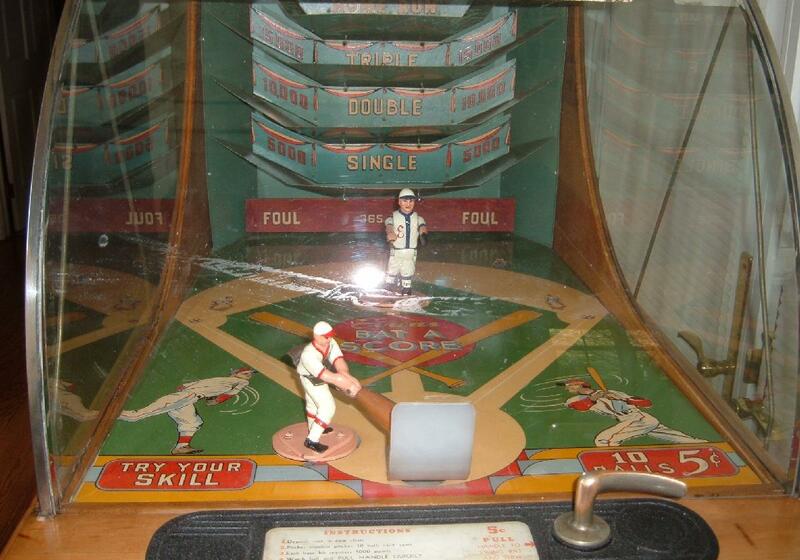 As the game got older and wore, the pitches became even less percise, making the game very difficult to adjust for playability. 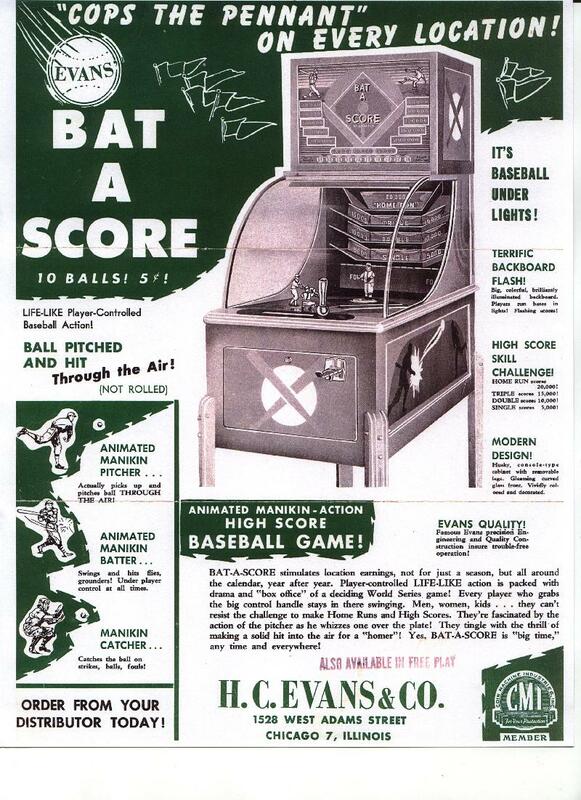 But if Evan Bat-a-score can be adjusted/fixed for good pitches, it is very fun, and very challenging. 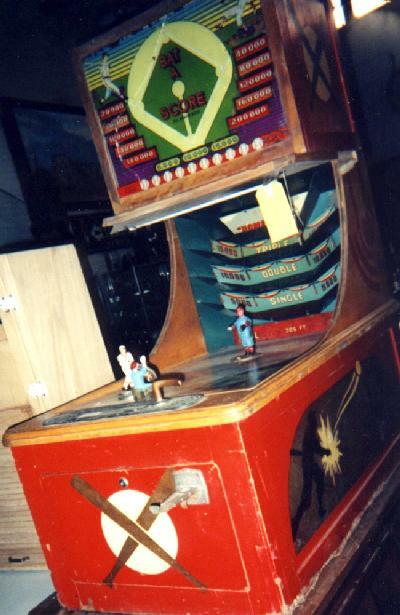 The first incarnation of Batascore also had a manikin catcher, but the catcher took massive abuse from the air balls thrown by the pitcher. 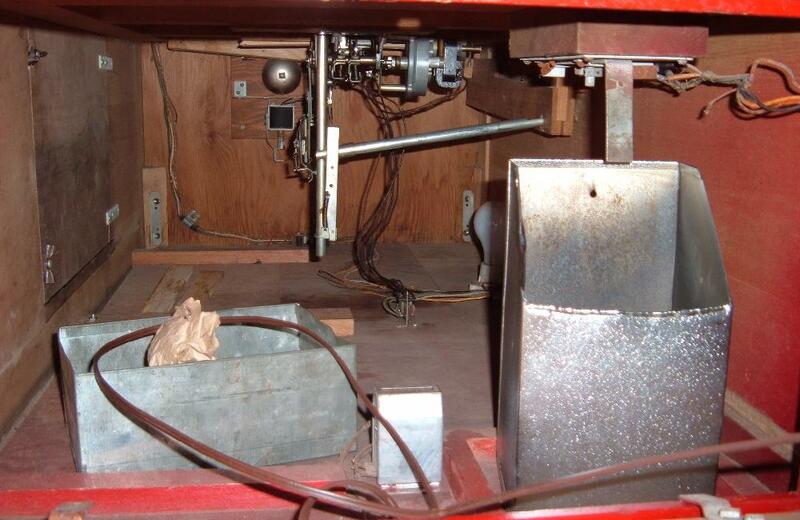 This usually resulted in a decapitated and/or amputated catcher! 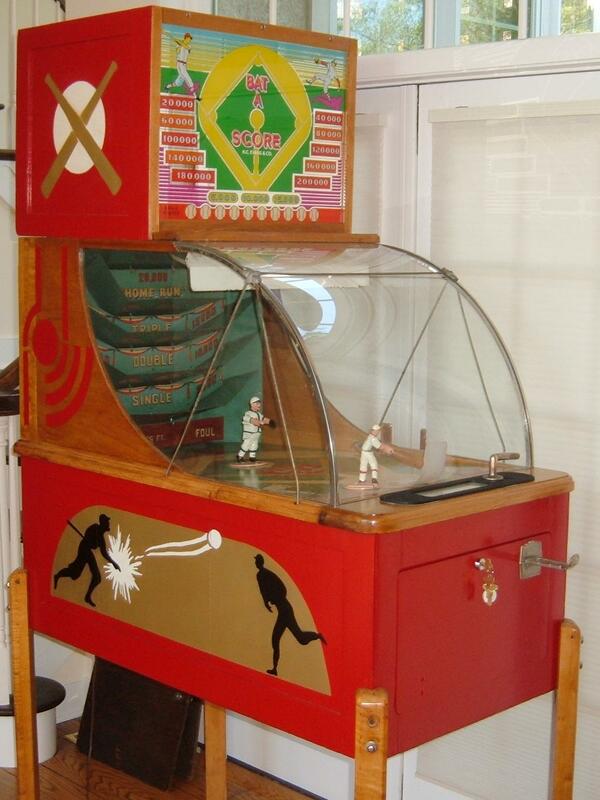 For this reason, the manikin catcher was replaced with a curved metal or plastic shield to defect the thrown ball. 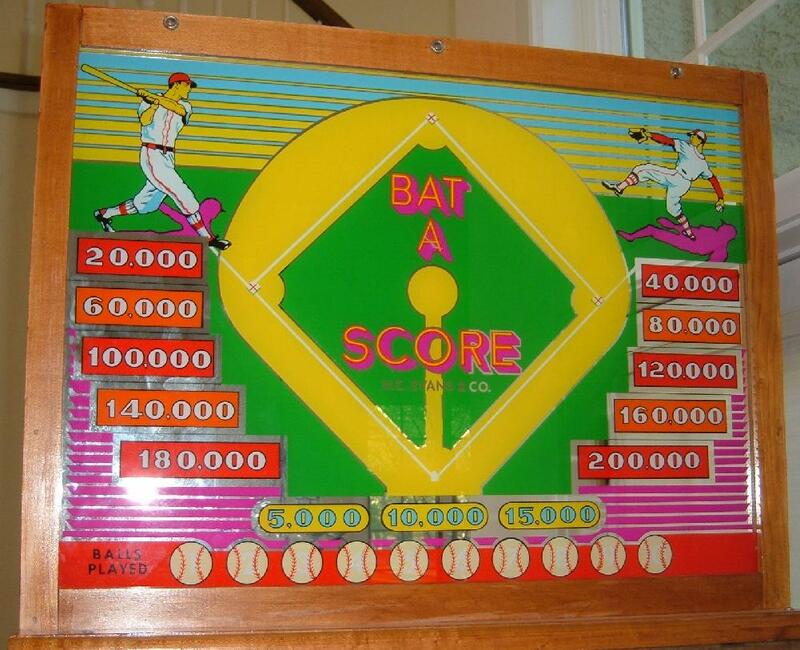 Backglass (housed in the upper lightbox) is a mirrored screened score glass. 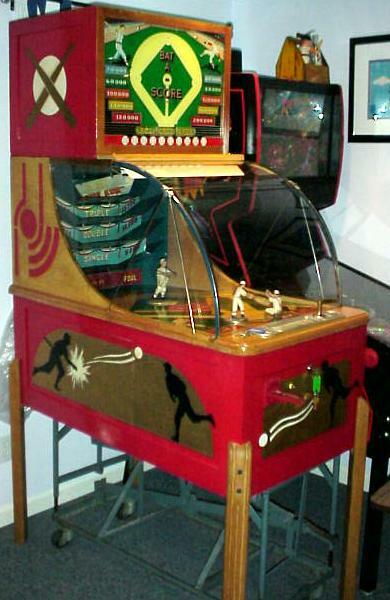 The front playfield glass is a unique clear curved glass. 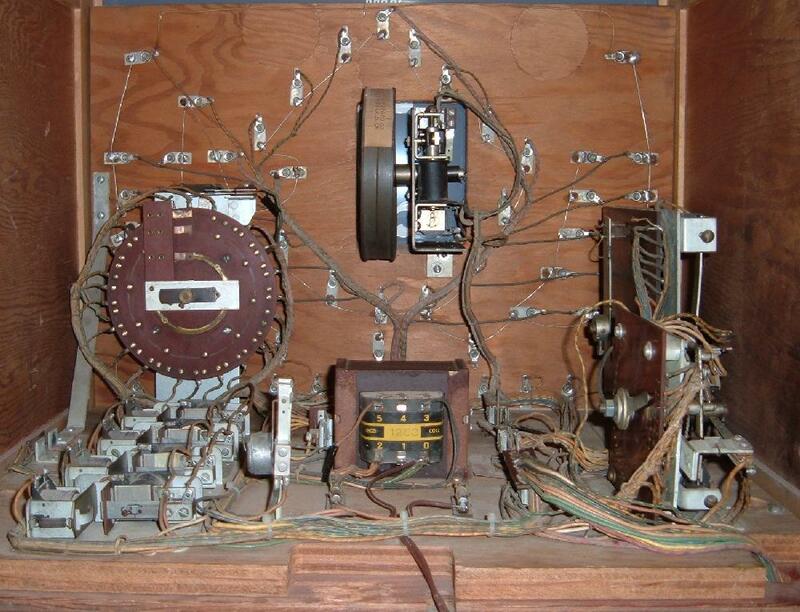 replaced by a metal shield. 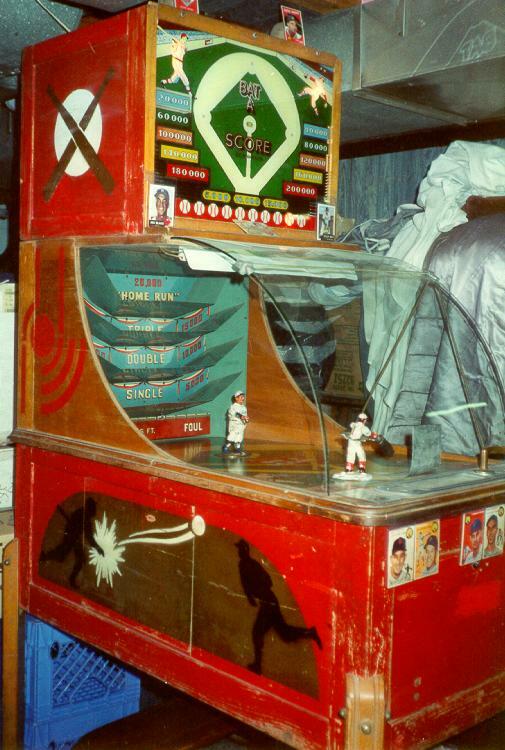 the topmost side of the head (a baseball with two crossed bats). 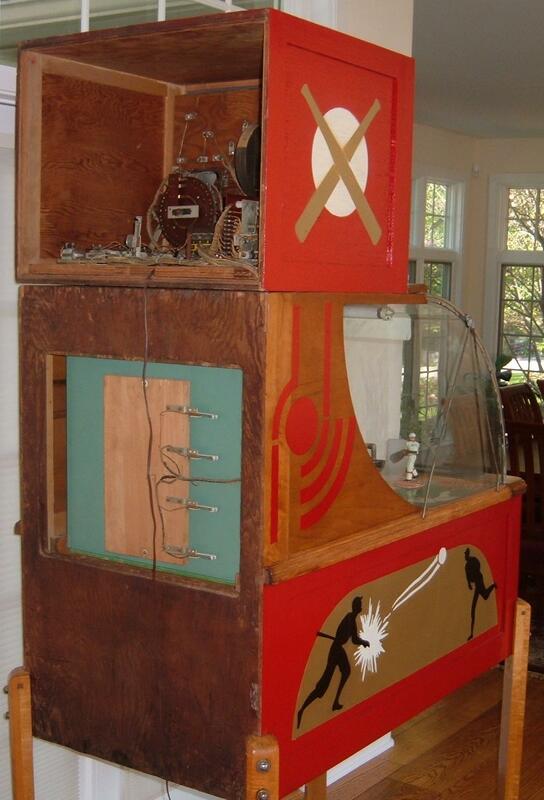 Here's a Bat-a-score with the original manikin catcher and original front cabinet panel paint.